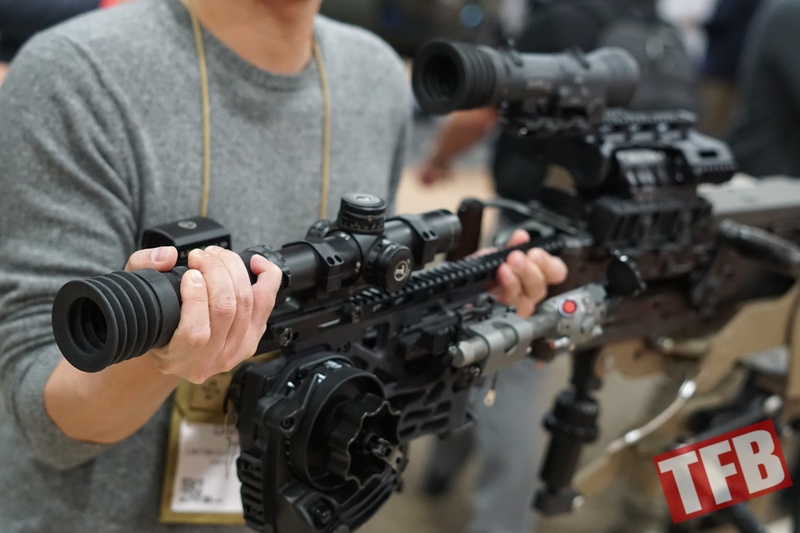 Cadex Defense had two recently introduced products specifically for the .50 BMG M2 Heavy Machine Gun on display at their booth at SHOT 2018. 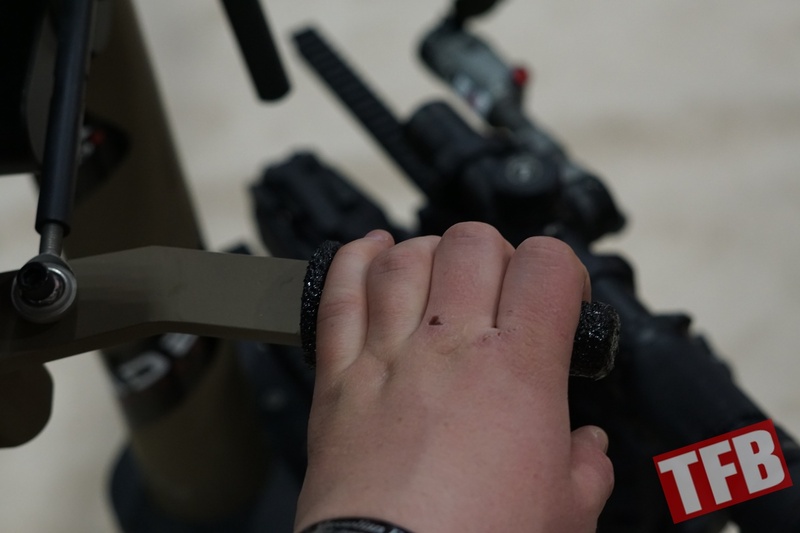 The first one was their KOLOS sight mount, meant as a lighter and less obtrusive alternative to the earlier SOLO sight mount. Second for this year is the M2 Cradle Mount. The KOLOS is specifically designed for the M2 HMG, unlike the earlier SOLO mount that has trajectory calculations in it for the 40x46mm High-Velocity Mark 19 grenade launcher. So although you lose the ability to mount a rail mount on either machine gun or grenade launcher, you gain a much lighter rail mount for the .50 BMG M2. 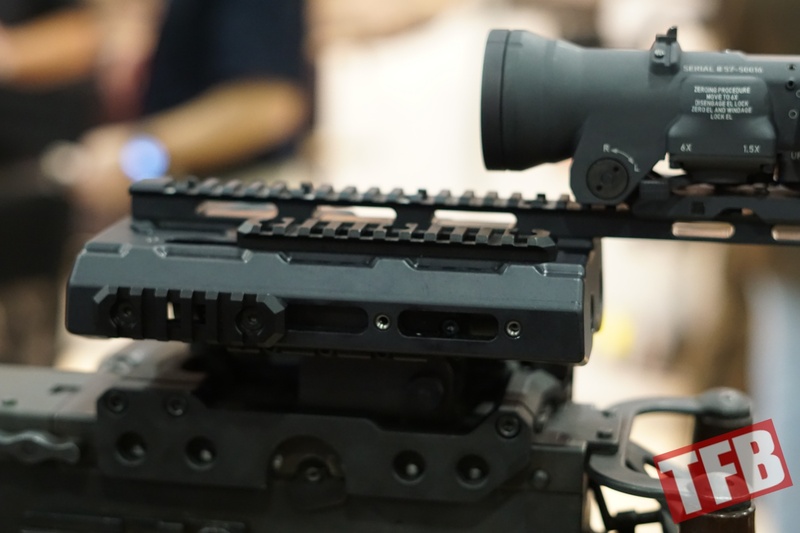 KOLOS is designed to compensate with recoil, so a gunner doesn’t have to worry about scope bite, or the actual scope mounted to the machine gun hitting them in the head while engaging a target. 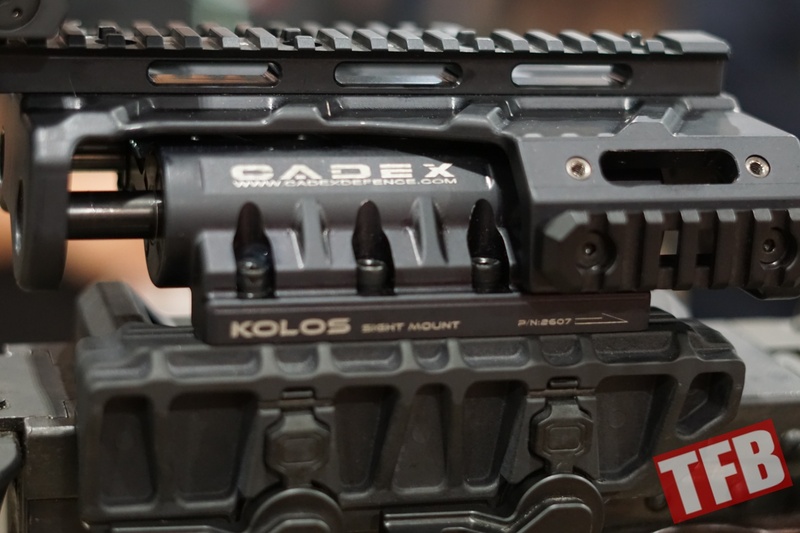 Note that the representative at the booth informed us of the Mark 19 versus M2 configuration difference, but on the Cadex Defense website it lists the ability for the KOLOS to work with a Mark 19. The KOLOS can be readily taken off the machine gun if need be as well. 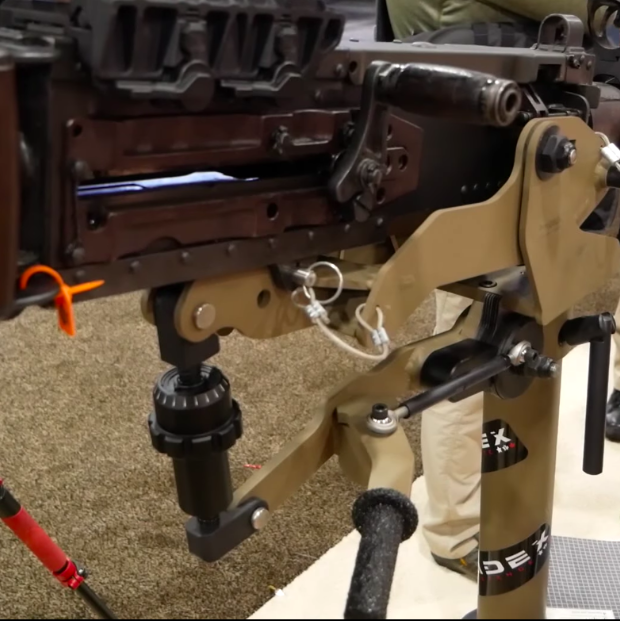 Notice the hydraulic buffer rod that allows the mount to recoil with the machine gun. Also notice the side mounted Picatinny rail for ATPIAL devices. KOLOS mount right, SOLO mount left. Notice the size comparison. Also note that both mounts use the same receiver clamp, to encourage backward compatibility. 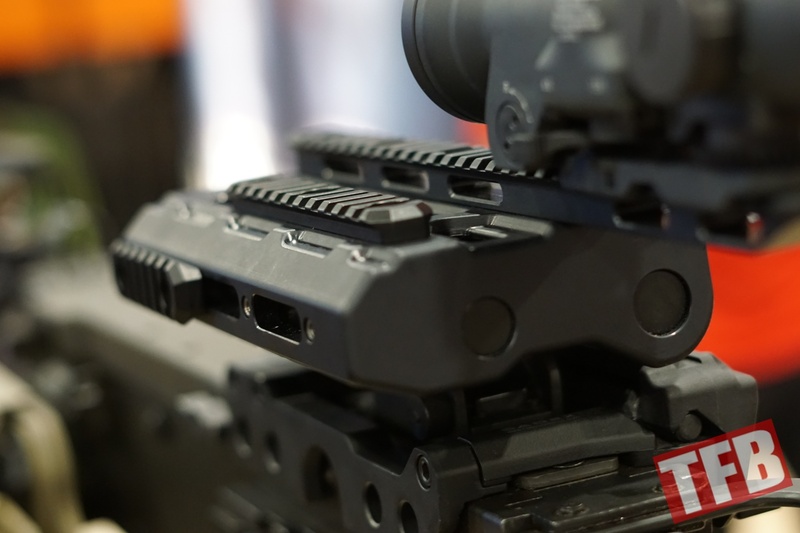 Also on display was Cadex Defense’s M2 Cradle Mount. Unfortunately, the vast majority of M2 mounts for vehicle turrets with gunners behind them have been modified tripod T&E mounts adapted for vehicle use. 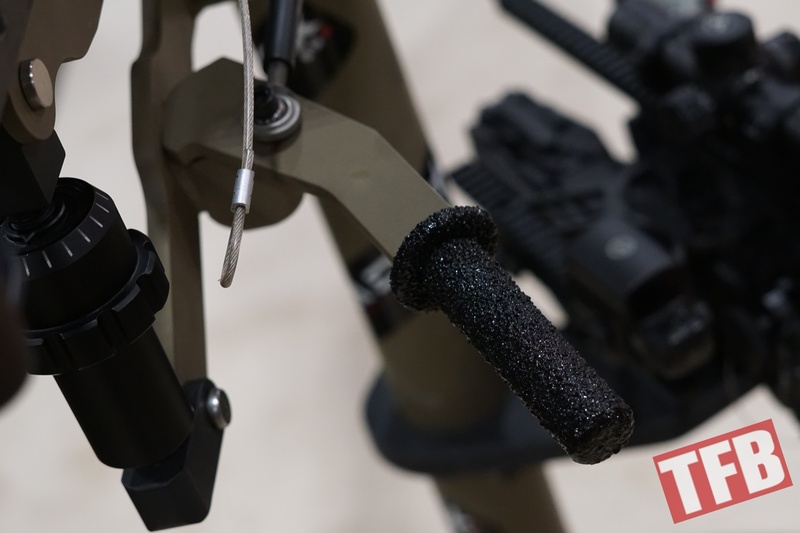 Cadex Defense designed this cradle so one could unlock it, essentially “Free-Gun” it either into position for transport, or to be able and swivel it into place for a burst to be fired. Once locked down, the cradle has fine tune adjustments that can be made, influencing the elevation and windage adjustments of the machine gun. 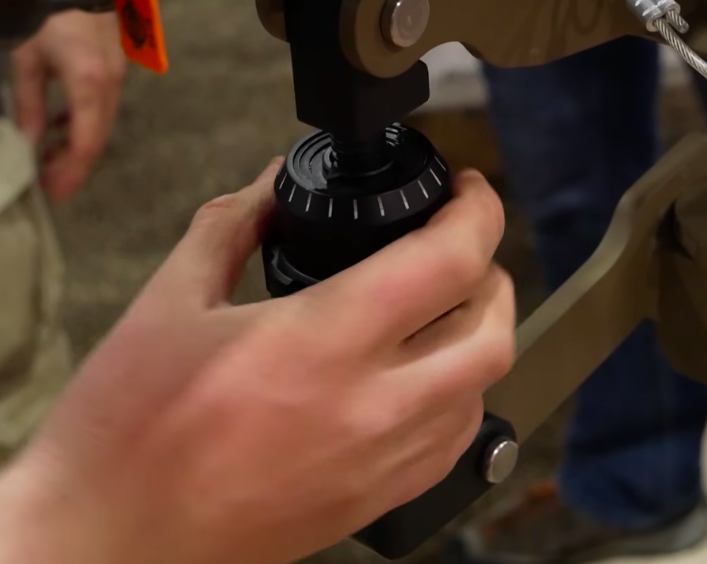 Check out our TFB TV episode where we cover both the KOLOS and the M2 Cradle.